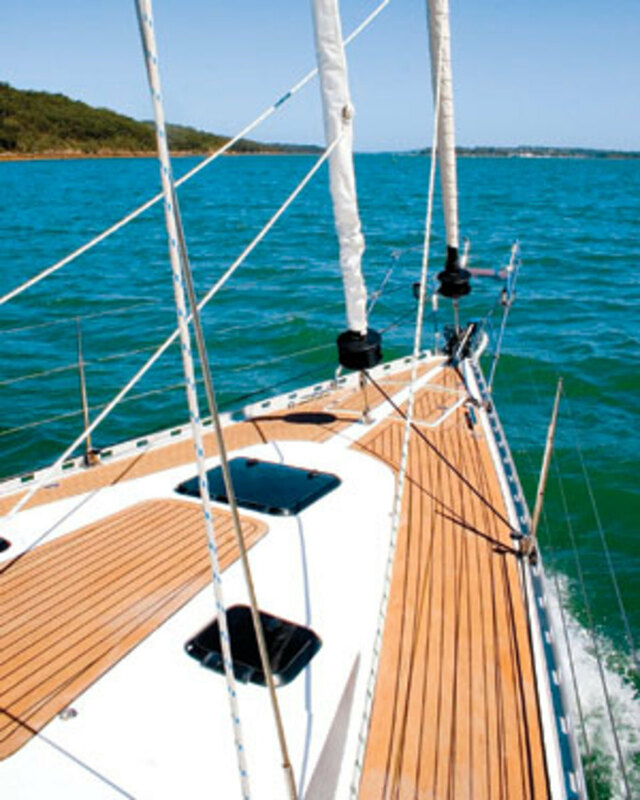 Since the advent of fiberglass boat production, sailors have had a love-hate relationship with teak decks. 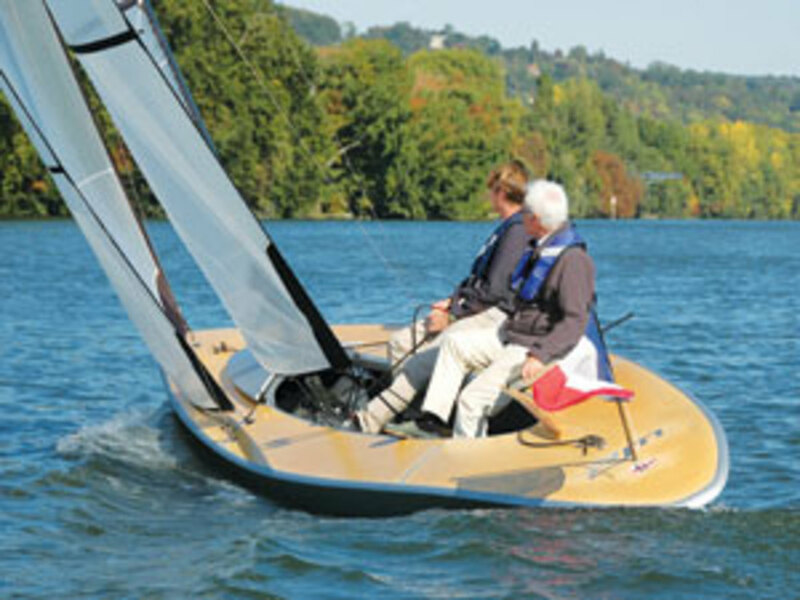 On the one hand, they provide a good nonskid surface and add a feeling of warmth to a boat’s appearance. On the other, teak is expensive and time-consuming to maintain. Today’s synthetic teak decks are made of textured PVC plastic, so there’s no way for things like red wine or fish guts to soak in and cause problems. The same goes for Marinedeck 2000, from the Dutch manufacturer Stazo Marine Equipment, which is made from cork and is equally impervious to water. In the event your decking does get stained, simply sand it off with some coarse-grit sandpaper, and you’re good as new. 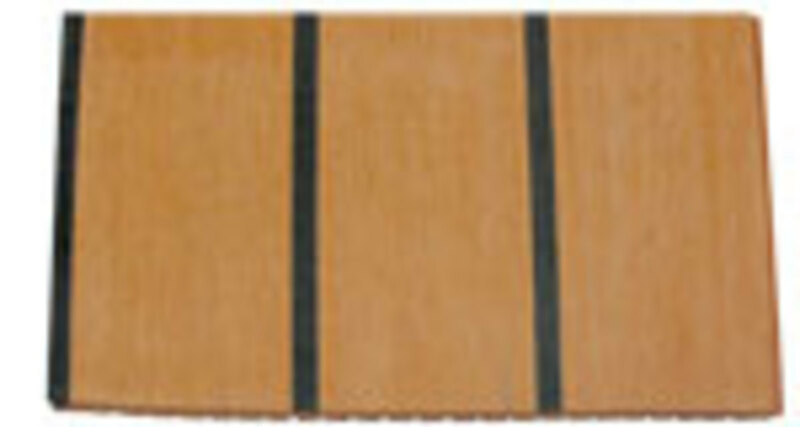 Synthetic teak also has excellent nonskid properties, reportedly providing an even better grip when wet than actual teak. Although we didn’t have a chance to test the gripping qualities of all the samples featured in this article, the Flexiteek on the SC 20 provided excellent footing during a boisterous sail on Narragansett Bay. On the downside, there have been reports of bubbling in synthetic teak decks as a result of adhesive gassing or trapped air bubbles. So be sure your installer knows his business, particularly when undertaking a large retrofitting job. Then there is the matter of temperature. 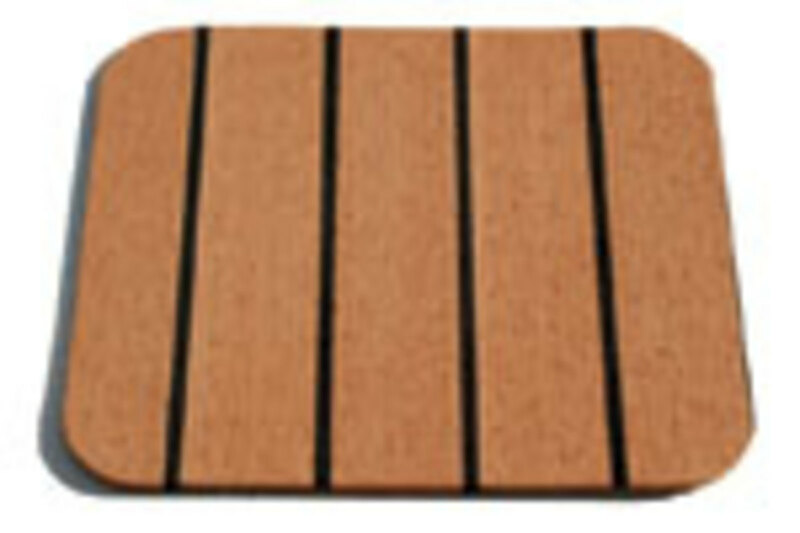 Teak can get pretty warm when sitting out in the sun, but a PVC deck gets even warmer—around 150 degrees F on a hot sunny day, according to Bill Gribble, president of Ohio-based PlasDECK Inc. With this in mind, Gribble’s company recently unveiled a new lighter-colored synthetic teak decking called CoolTEAK, which is purportedly much easier on the soles of your feet. Finally, there is the question of appearance. Although it looks good, even the best cork or synthetic teak deck won’t fool anybody for long. At the same time, though, how many sailors can truly say they are proud of their genuine teak? I was recently doing a delivery with the owner of a beautiful teak-decked 46-footer. When I complimented him on the state of his side decks—a little on the gray side, but not too bad—he just rolled his eyes and said he would probably go with a molded nonskid deck if he had the chance to do it again. 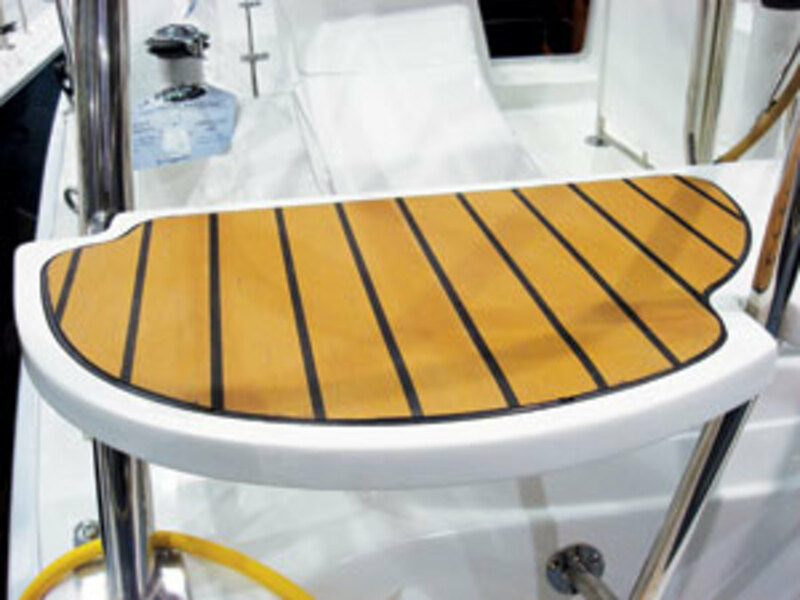 According to Nuteak president Denis Hamel, when his company first began installing synthetic teak decking on larger yachts, most of the professional captains who heard what he was doing were skeptical—until they saw the results in terms of appearance and maintenance. Then again, just because synthetic teak isn’t identical to the real thing—and some of the samples that came into the SAIL office were remarkably close—that doesn’t stop it from looking damn good. While I would never put a PVC deck on a wooden boat, it dresses up a composite boat quite nicely. Ultimately, it’s a matter of personal taste. In terms of retrofits, installing synthetic decking over a large area takes a good deal of care and skill if you want it to look right. The devil is in the details. Misaligning the seams or installing edging incorrectly can result in a shoddy job and years of regret. 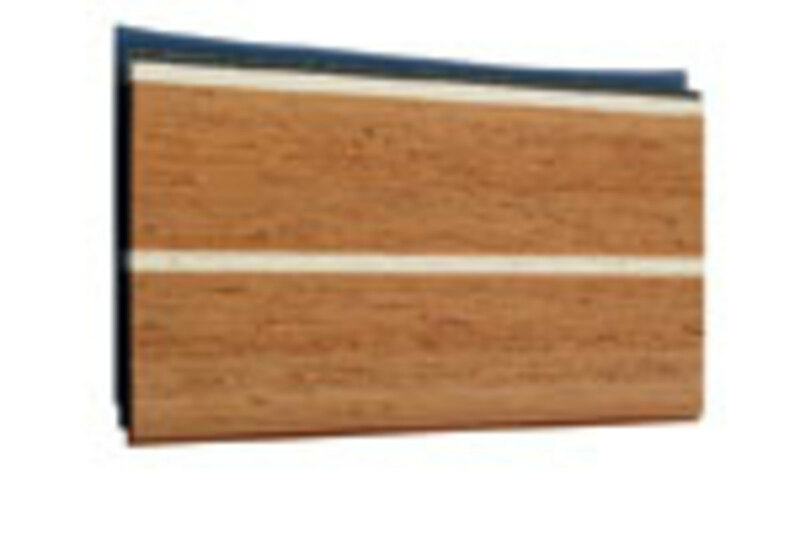 Nonetheless, smaller projects, like installing a new “teak” cockpit sole, seats or a transom swim step, should be well within the ability of a careful DIY sailor. Although synthetic teak can be ordered in strips, which fit together in a tongue-and-groove fashion, a better course is to mail a paper template to the factory, which will then produce a finished piece for you to install. When it arrives, all you need to do is glue the new piece in place. 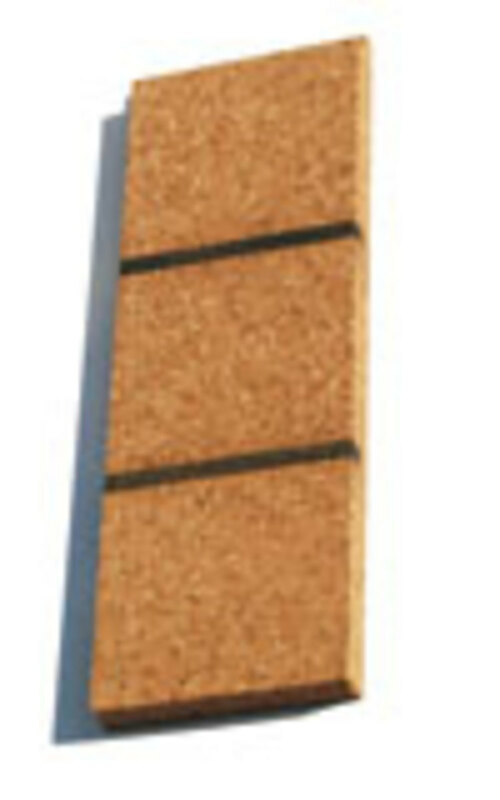 Surface treatment is minimal: there is no need for sanding, even on nonskid. 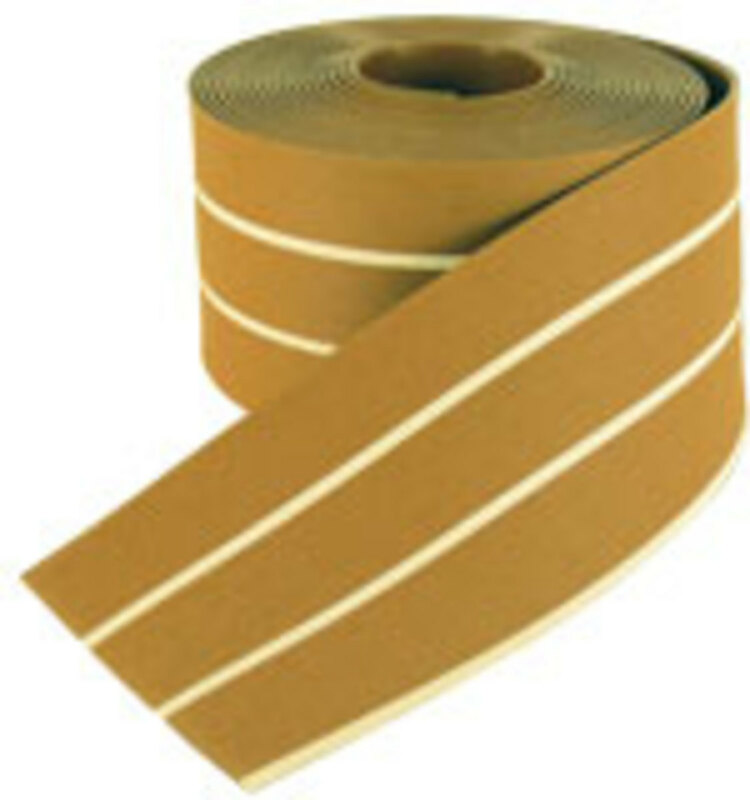 Premade parts for boat manufacturers come with a sticky-back surface for immediate installation. But most retrofits involve using an adhesive to accommodate minor surface irregularities. Another plus for DIY types: synthetic decking manufacturers know full well the skepticism they have to overcome and will bend over backward to help you do the job right. Bottom line: strange as it may seem, “fake” teak is for real. 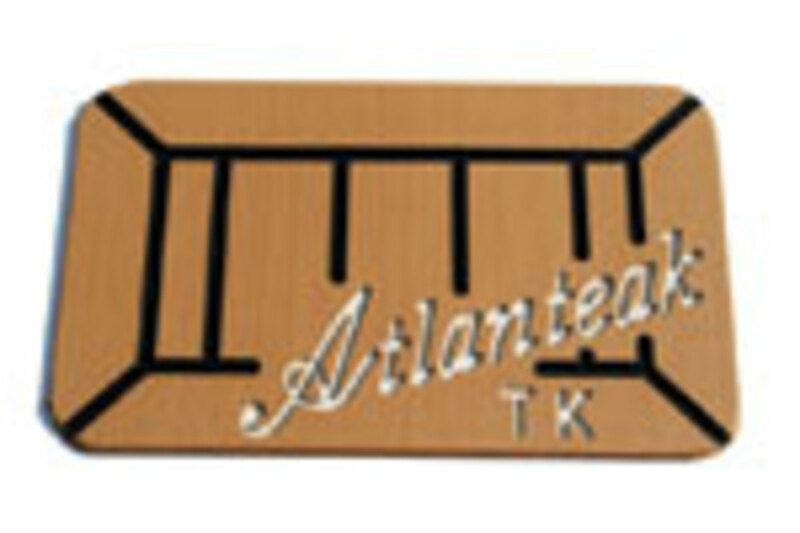 If you are tired of keeping up the teak on your boat, give it a look. The following are some of the impressions a number of products made on SAIL’s editorial staff. An industry leader, PlasDECK looks and feels convincing. Some of the staff liked its smoother surface. Others felt the color was a bit too uniform, making it look less like the real thing. PlasDECK Inc. recently unveiled a faux-teak decking with glow-in-the-dark caulking. Crazy! All in all, a good solid product and worth checking out.